﻿Objective: ﻿To find out about the causes and effects of the earthquake that recently struck Nepal and the Himalayas and to share ideas for fund raising initiatives. ﻿﻿Starter:﻿﻿ You, like many other tourists, are visiting Kathmandu, the beautiful capital city of Nepal. You are on a roof terrace filming the general hustle and bustle of a city of 700,000 inhabitants when all of a sudden, and without warning, the ground beneath you starts to shake violently. You drop to your knees and hold on for dear life. Watch the video the right. Write down seven adjectives that describe the sights and sounds in the video on your work sheet. Task 1 - You have survived the quake. You have a small amount of battery left on your iPhone. Send a tweet that explains what you have just seen as well as letting your friends and family know that you are ok. You have 140 characters. Make sure you include at least two of our adjectives with a # before each. Then, your battery fails. No more contact with the outside world. Can you trust your sources? - See the effect that the shaking has on the Nepal swimming pool in the hotel. Click right to see. What do you think about this video? Realistic? 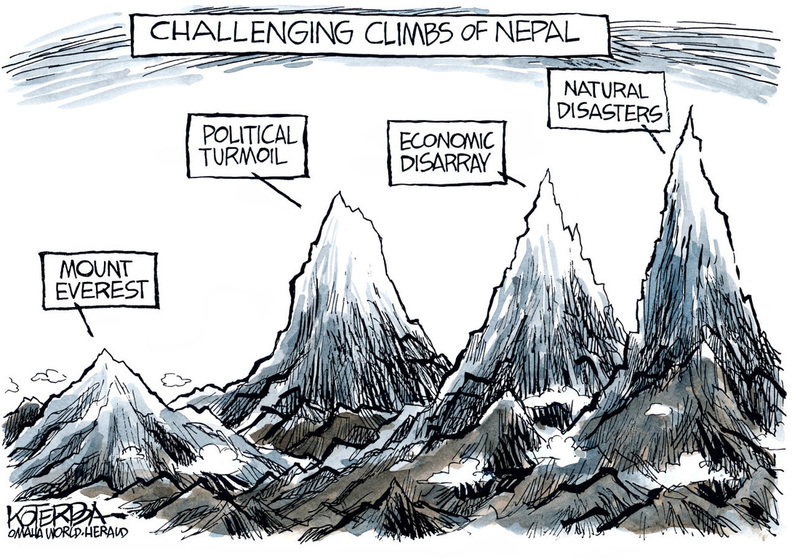 Definitely Nepal? Perhaps in Kathmandu? Click here to read more. How do you think the 'Focus News' organisation feel about this? Task 2 - Where is Nepal? Use the Google Map beneath to help you to locate the country. Task 11 - Damage caused by the earthquake in the main settlements of Nepal have been well documented on news channels across the world. However, in the days following the quake, little is known about the impact on the rural and mountainous areas of the country. Watching both videos to the right, complete task 11 in your work booklet**. **Think about the shape of the land, accessibility, 3G coverage and other communications. Task 12 - You will also have seen on the news that there are up to 800 international climbers stranded on Mount Everest. The highest mountain on earth was shaken violently by the earthquake and as you now know, this caused a huge avalanche that swept down into Base Camp killing at least 17 people. The tweet on the right is from Kenton Cool, 11 times climber of Everest and someone that we study in the Year 8 unit of work on Everest. Explore the Gigapixel image underneath and zoom in to the base camp where the video to the right was filmed. The base camp is in the foreground just in front of the glacier. The avalanche came from the steep slope to the left hand side and swept into the camp. Using both the Gigapixel interactive image as well as the video to the right, explain why the climbers at the base camp of Everest had so little time to escape from the path of the avalanche. Complete this in the space provided in your work booklet. Tasks 3 - 9 - Using the resources available to you on the work booklet, complete all tasks as set out. Think carefully about the photo task and study the photos carefully before responding. Task 10 - Did the building collapse too easily? Use the photo evidence on the work booklet as well as the Google Earth tour video below to complete the task. Why does Nepal have earthquakes? 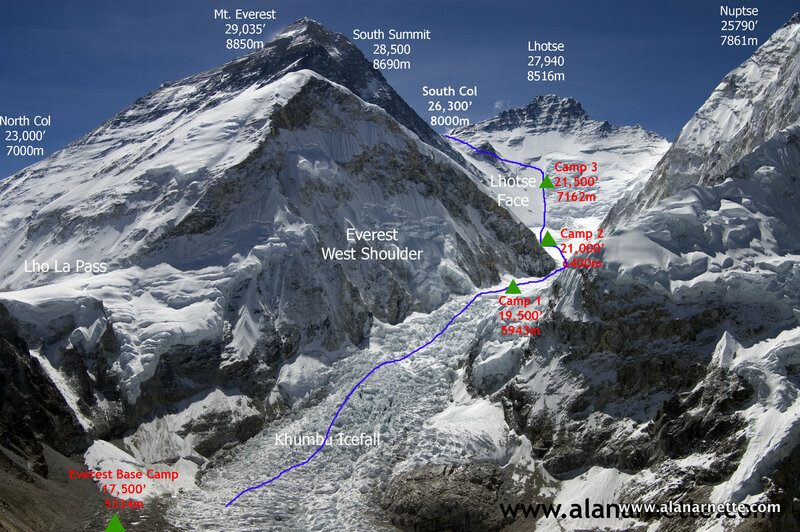 The work here is taken from the Year 8 unit of work on Everest and how it is formed. Task 13 - Watch the YouTube video to the right hand side. This is a documentary but you only need to watch up to 10.35. You might find it helpful to make some notes on what you see and hear. i. What are the three main layers of rock called that are found on Mount Everest? ii. What were the risks in collecting the samples? iii. What evidence exists to prove that this rock was formed under the oceans? The climber you will see in the video is called Kenton Cool and he holds several Everest records. His recent tweet in memory of his friends is above next to task 12. EVEREST - 50 MILLION YEARS IN THE MAKING. You will be creating a cartoon strip to show the formation of the Himalayas in six stages (paying particular attention to stage 5). You can use the video (above right) and the fact sheet (below the video) to guide you. For the video, the timings of the useful clips for each stage are indicated for you. What's the economic effect of the quake? Task 15 - To conclude the study, you now need to briefly look at the likely impact of this major disaster on the Nepalese economy. You will need to use the CIA World Fact Book as well as the worksheet on the blue tab to the right and the short news report. Here at the International School of Toulouse, we are considering a number of initiatives to support those affected by the quake in Nepal.